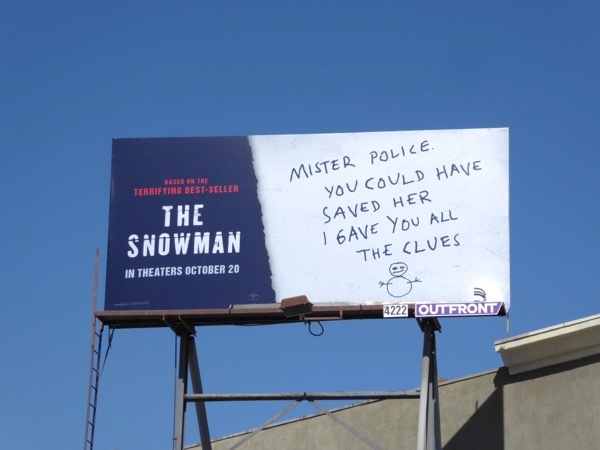 Fires may be raging and temperatures soaring in California at the moment, but maybe these billboards for The Snowman movie will help cool us down with their chilling message. 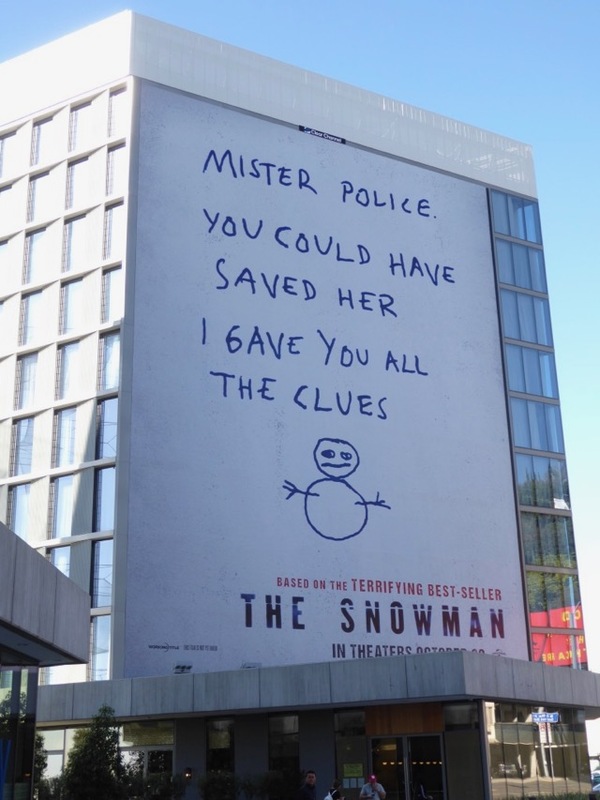 In the film adapted from Jo Nesbø's 2007 book of the same name, Michael Fassbender stars as Detective 'Harry Hole', who with the help of Rebecca Ferguson's brilliant recruit 'Katrine Bratt', hope to solve the mystery of a decades old serial killer who kills with the first snows of winter. 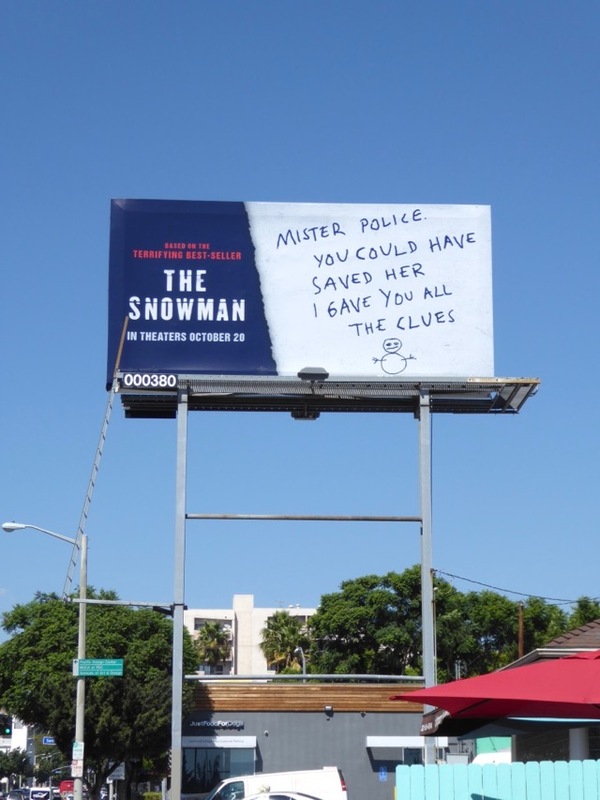 These simple and effective movie billboards were photographed along Fairfax Avenue, Vine Street and the Sunset Strip from September 27 to October 4, 2017. 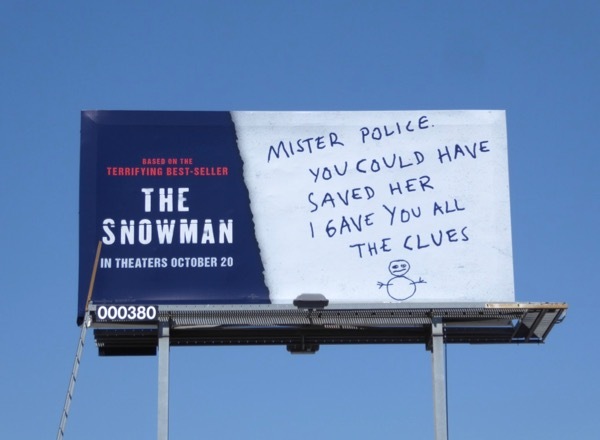 Meanwhile for a different take on a snowman, make sure you also check out these fun Frozen movie billboards. 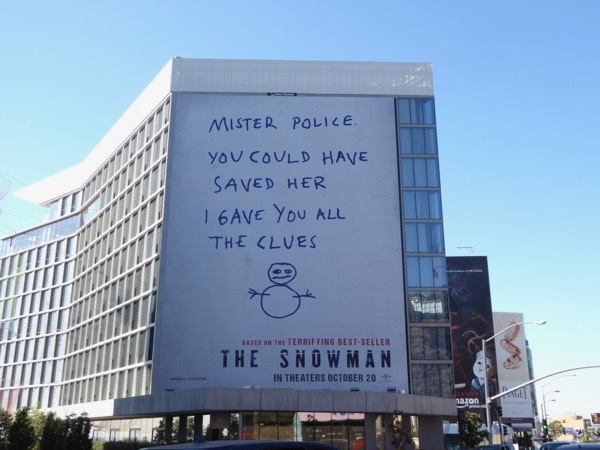 If you're looking for some cinematic frights this Halloween, it looks like this new movie may be able to bring the terrifying chills you're looking for.